The Synergize Collaboration in action conference is SOLD OUT! Ottawa. – Volunteer engagement professionals can now register for the LiVE– Leaders in Volunteer Engagement Conference, to be held at Delta Hotel, Ottawa City Centre, May 14-16, 2019. Registration fees for the two-day conference include the keynote speaker Rob Jackson of Rob Jackson Consulting Ltd, lunch, workshop sessions and networking evening. Early bird registrants can benefit from a discounted rate until. Professional Association of Volunteer Leaders-Ontario’s (PAVRO), Volunteer Management Professionals of Canada’s (VMPC), Volunteer Canada’s network of volunteer centres can benefit from a preferred rate. 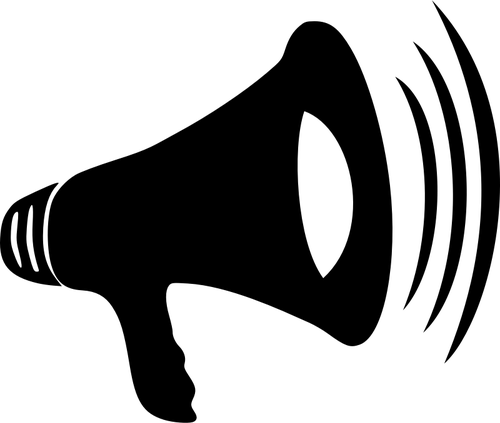 Non-members with a valid membership with their local Association of Volunteer Administrators (AVA) can also enjoy a special discount. With Collaboration in Action as the main theme for the annual conference, the three-day event will kick off on May 14 with a full day hosted by Volunteer Canada, followed by the LiVE– Leaders in Volunteer Engagement Conference May 15-16. 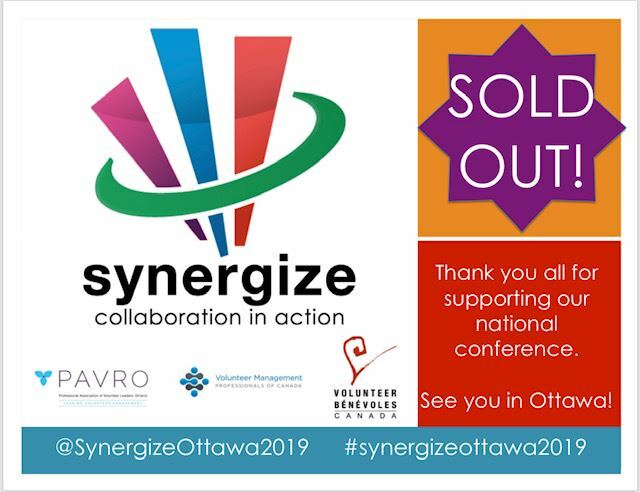 More details on registration, program and speakers will be announced in Volunteer Management Professionals of Canada’s (VMPC), Volunteer Canada’s and PAVRO’s websites soon, as well as on twitter @SynergizeOttawa, #SynergizeOttawa2019 or #PAVROLiVE2019. April 1 2019: The Synergize Collaboration in action conference is SOLD OUT! January 28, 2019: We are very pleased to announce that the keynote speaker for our#SynergizeOttawa2019 National Conference will be Rob Jackson Consulting Ltd! Make sure to register today! You won't want to miss this! !